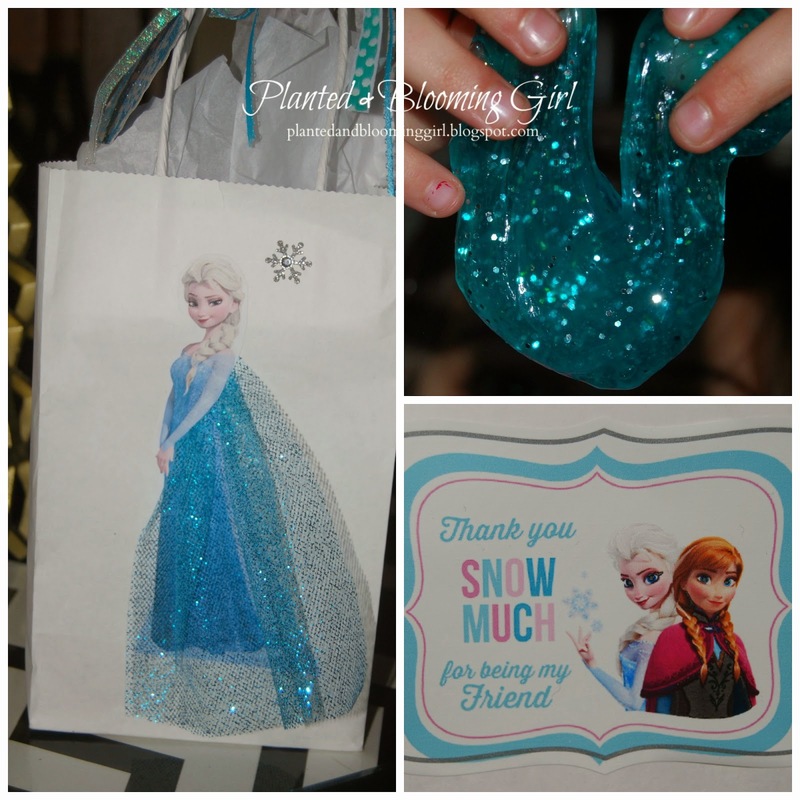 Of course... we had to have a Frozen theme for the Girl's 6th Birthday Party! I promise not to bore you with the details, but since I tore my ACL back in December, I've had a lot of time on my hands...so I collected tons of cute ideas, and I'll share. 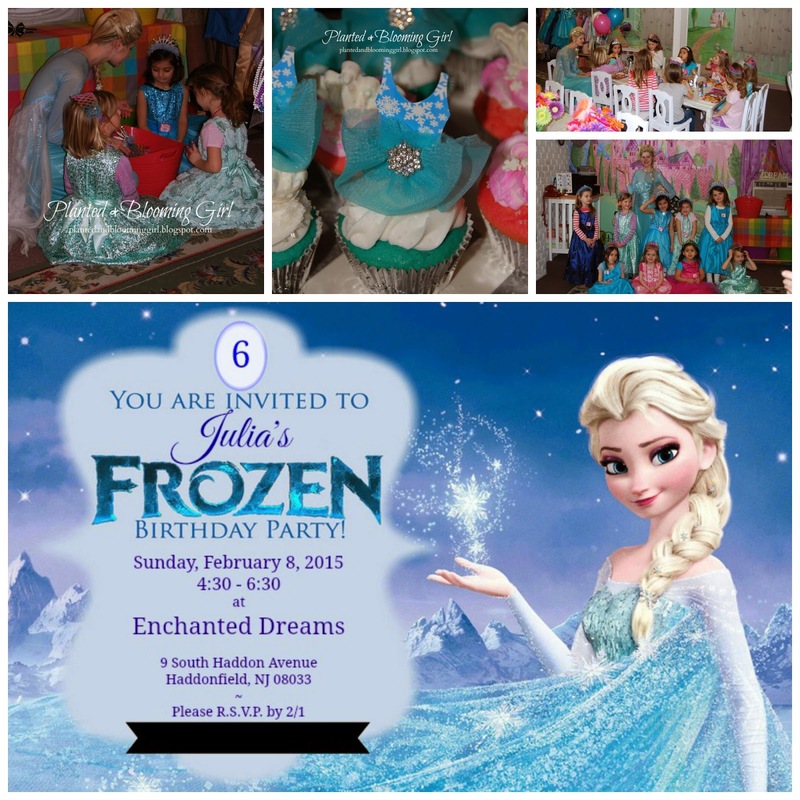 We had the party at an adorable place nearby, called Enchanted Dreams, because what little girl wouldn't want this party at 6 years old?? 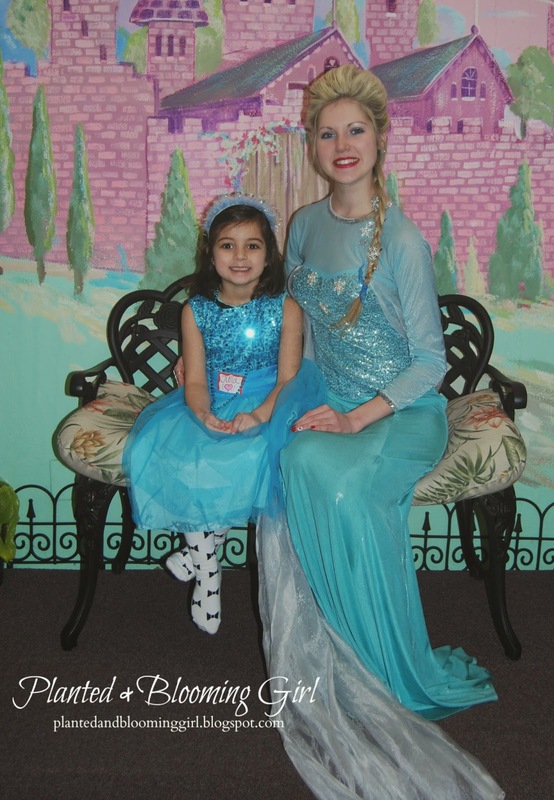 The fabulous staff took care of all of the entertaining and Queen Elsa was there of course. The girls were able to choose a"dress up" costume and crown for the first half and donned grass skirts and leis for the second half! The invite was a Google find and a free download found here, I saved the image to my computer and used PicMonkey to edit it. The Elsa-like cupcake toppers were an accidental Amazon find, and I made Blue Velvet cupcakes for those, and to mix it up I added Pink Velvet as well. I used a Wilton frosting tip to pipe on bright white frosting and topped the Pink Velvet with white chocolate tiaras made from Candy Melts. The kids and I made Frozen Goo from a recipe I found here. This was a fun project and my little boys loved it! The labels for the "Thank You Bags" were downloaded from this site and printed onto adhesive labels. 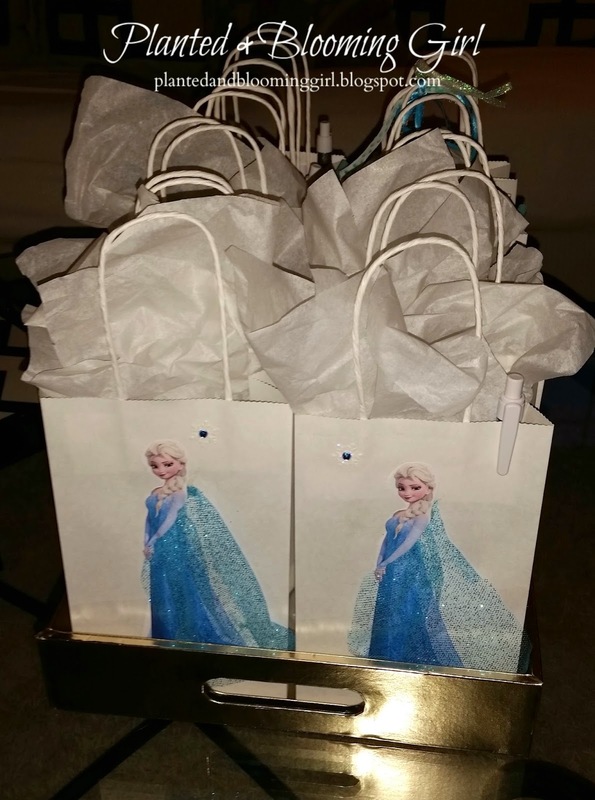 By far, my favorite thing to make, was the Elsa on the bag! I can't take credit for the concept, I saw a similar rendition on Etsy, but thought they were a bit pricey and they looked more like Elsa was wearing Cinderella's skirt rather than her cape. So I modified it and it turned out stinkin' cute! (Yes these photos were with my phone, but you get the idea). I printed out Elsa, cut back her upper body so that her arms would show, and hot glued the glittery tulle behind her, gathering it along the way, and then I re-glued her upper body down. Thank you "snow" much for looking!